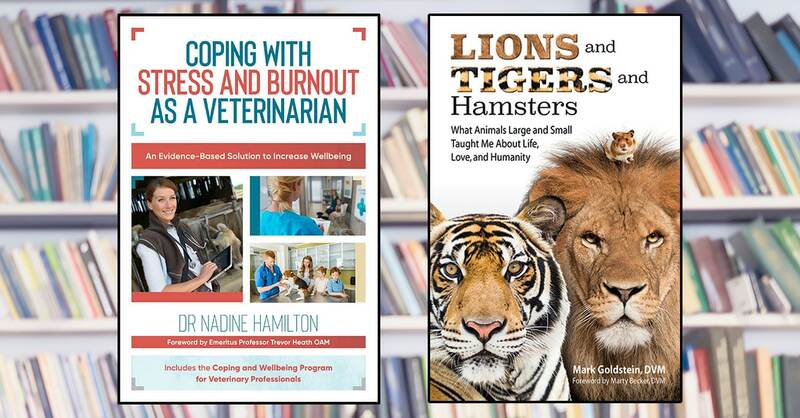 “Coping With Stress and Burnout as a Veterinarian,” by Dr. Nadine Hamilton, and “Lions and Tigers and Hamsters: What Animals Large and Small Taught Me About Life, Love and Humanity,” by Dr. Mark Goldstein. An English-born psychologist who researched the mental well-being of veterinarians has published a book that aims to fight the profession’s high suicide rate. “Coping With Stress and Burnout as a Veterinarian,” by Nadine Hamilton, Ph.D., examines how practitioners’ mental health is influenced by their daily work. 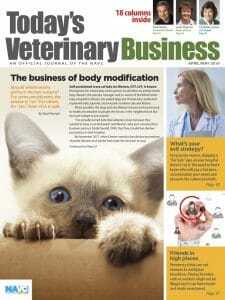 “The effects of working long hours, performing euthanasia on animals, emotional pressure, financial issues, unrealistic expectations and dealing with distressed clients place considerable stress on both the vet themselves and their families at home,” according to the publisher. Dr. Hamilton founded the charity Love Your Pet Love Your Vet. Also new for book readers is “Lions and Tigers and Hamsters: What Animals Large and Small Taught Me About Life, Love and Humanity,” by former wildlife and zoo veterinarian Mark Goldstein, DVM. Dr. Goldstein shares highlights from his 40-year career, including being attacked by an elephant, probing the nether region of an unrestrained 3-ton rhinoceros, and teaching veterinarians how to spay and neuter dogs during a war drill in Israel. The foreword was written by Fear Free founder Marty Becker, DVM. “Coping With Stress and Burnout as a Veterinarian” is available now. “Lions and Tigers and Hamsters” will be released May 7.